According to the Alzheimer Society of Canada, 25,000 new cases of dementia are diagnosed each year. The Brain Project takes the cognitive decline of aging head-on. During a trip to New York City, Erica and Noah Godfrey stumbled upon the colourful sights of the Fabergé Big Egg Hunt. 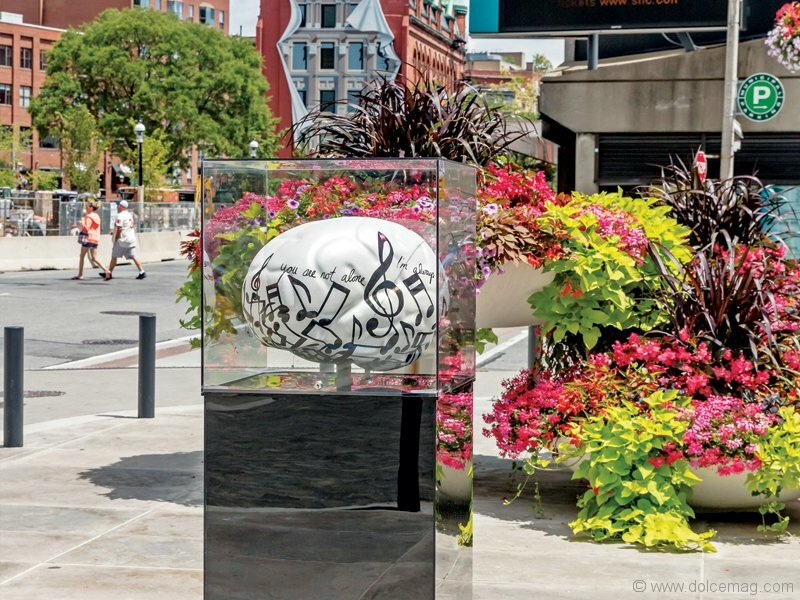 When they left the Big Apple they returned home with an idea that soon sparked one of the most ambitious citywide art installations in Toronto. Dubbed the Brain Project, the endeavour’s aim is to redefine how we think about brain degeneration through the universal language of art. 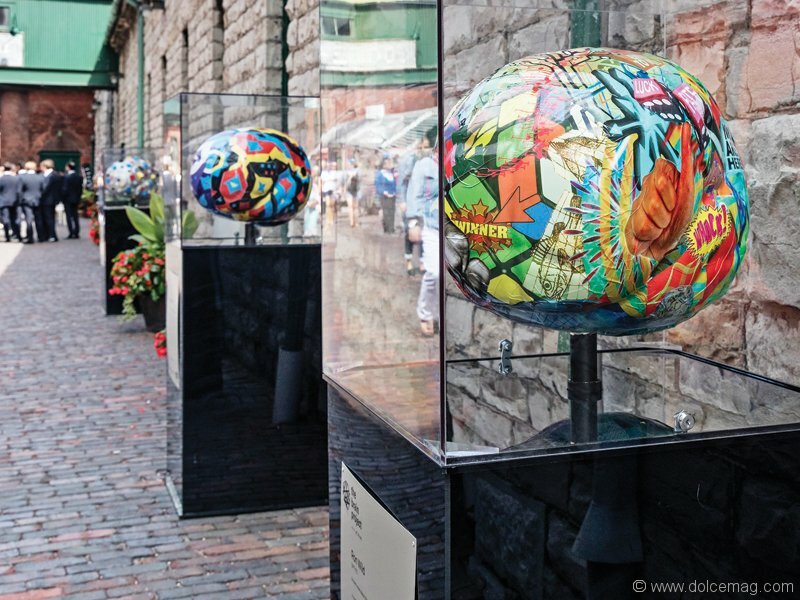 Over the course of the summer 100 visually striking brains crafted by various artists popped up all over the city of Toronto, bringing the discussion of Alzheimer’s and dementia to the forefront while helping to raise funds for Baycrest Health Sciences, a leader in brain health and aging and the home of the new Canadian Centre for Aging and Brain Health Innovation. Here, we talk to the Brain Project’s co-chairs Erica and Noah Godfrey, household names Ben and Jessica Mulroney, and Suits star Sarah Rafferty. Q. Why was art chosen as the medium to express this cause? Erica Godfrey: We wanted this project to impact everyone in our city just like brain health affects all people. Art plays a fundamental role in brain health: it awakens memories, encourages dialogue and inspires the sharing of ideas. Art therapy in particular, which Baycrest offers on a daily basis, has been shown to improve memory and cognition. Q. 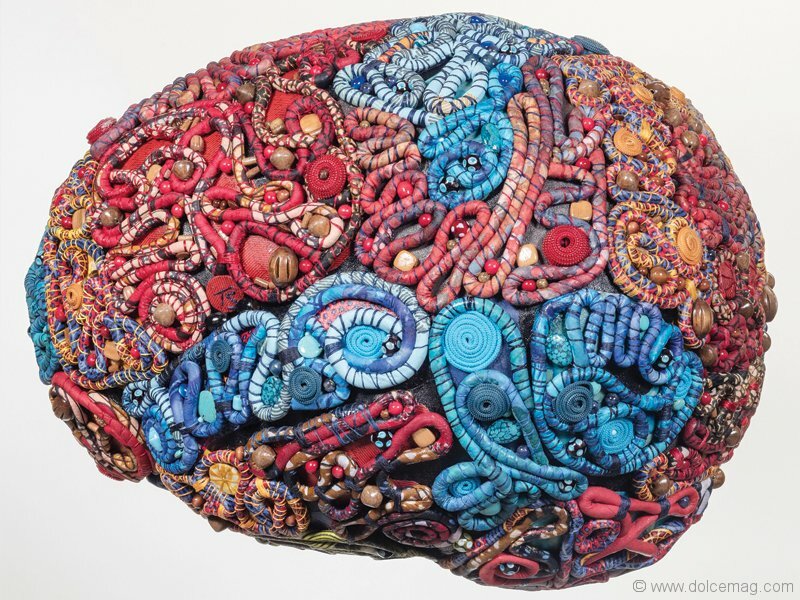 Which of the brain sculptures is your favourite, and why? 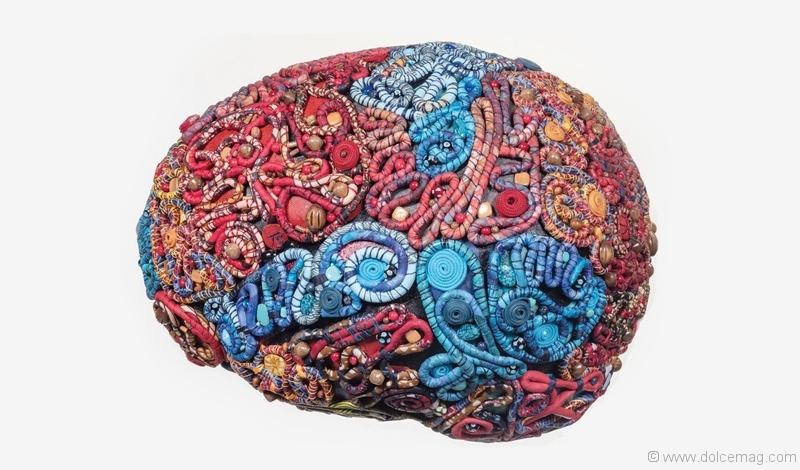 Noah Godfrey: My favourite brain is the one done by my mother, Gina Godfrey, of course! She’s not only an incredibly talented artist but a philanthropic entrepreneur in her own right and a wonderful role model for Erica and me. Q. Do you know someone with Alzheimer’s? How has this person changed your perspective? Sarah Rafferty: When I had children, I shared their joy in discovering language, and yet was always reminded of my grandmother’s heartbreaking loss of it. Alzheimer’s is the only disease in the top 10 killers that doesn’t have a cure or a way to slow its progress. But there is so much optimism in the scientific community that a breakthrough is near. I have been inspired to support this cause because of my daughters. I pray that they inherit a world where Alzheimer’s is a distant memory. Jessica Mulroney: My dad’s mother had early-onset Alzheimer’s; she was affected in her early 50s, which was very difficult. I was very young at the time, but my family remembers seeing her — a woman so full of life and amazing energy — deteriorate rapidly. My grandfather, her husband, was diagnosed with Alzheimer’s later in life. Seeing the people you love go through a disease like this — for which there is no cure — is incredibly difficult. Ben and I are driven each day by their memory. Q. What is your hope for those diagnosed with Alzheimer’s now or in the future? Ben Mulroney: We think everyone’s hope is that one day we’ll find a cure for this awful disease. The brain is so complicated, and so many things can affect cognition and memory. We really hope that everyone in Toronto and beyond continues to support organizations like Baycrest who are not only working hard to care for those affected by brain disease, but also working toward finding treatments and hopefully, one day, a cure.